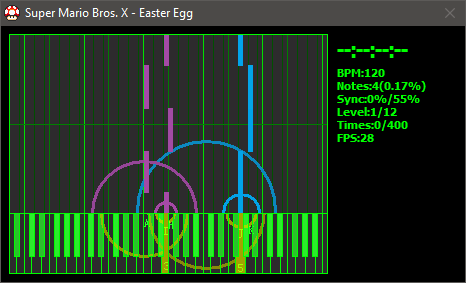 SMBX 38A has been discovered to have hidden easter eggs that when beaten, will unlock hidden functions. 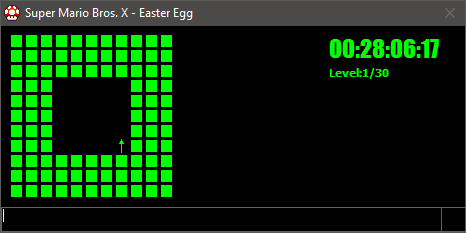 Below you will find instructions on how to activate the easter egg along with other useful information. If you want to bypass the minigames, you can use Haxagon. Open SMBX and a message will apear notifying that you did everything right. Instructions: The "Advanced Setting" will be colored in. 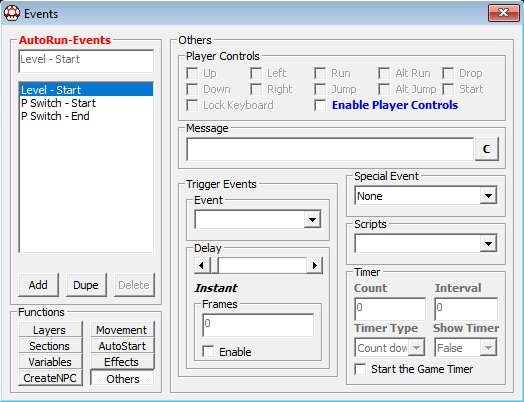 Hold shift while pressing "Advanced Setting" to activate the minigame. 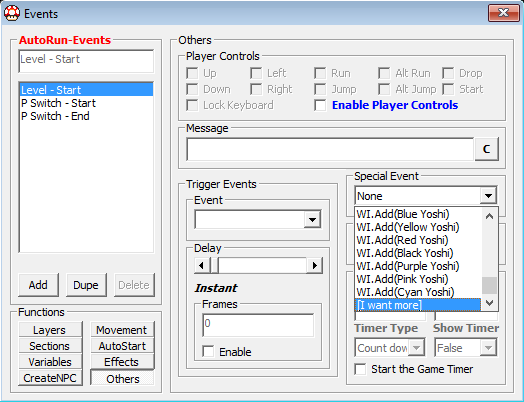 This ability to set player offesets (Pro). It allows you to calibrate hitboxes too! Menu: Settings -> Acess Denied! Instructions: Repeatedly press the "Reload". It will eventually activate the minigame. 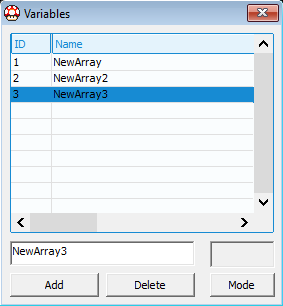 The ability to pack episodes into an .exe along with other settings. Menu: Settings -> What's this? Menu: Settings -> Guess what this is. Instructions: There is a "Click Me" button that runs away from your mouse. You have to be fast and click it repeatedly. Instructions: Click on the "C" that appears next to the Message box to activate the minigame. 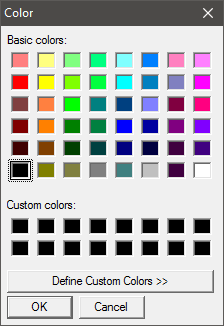 The ability to set color in event messages. Instructions: Scroll to the bottom of the list and you will find an option that says "[I want more]". Click it to activate the minigame. Unlocks a variety of extra special events. Instructions: There is a button that says "Click me to format your hard disk". 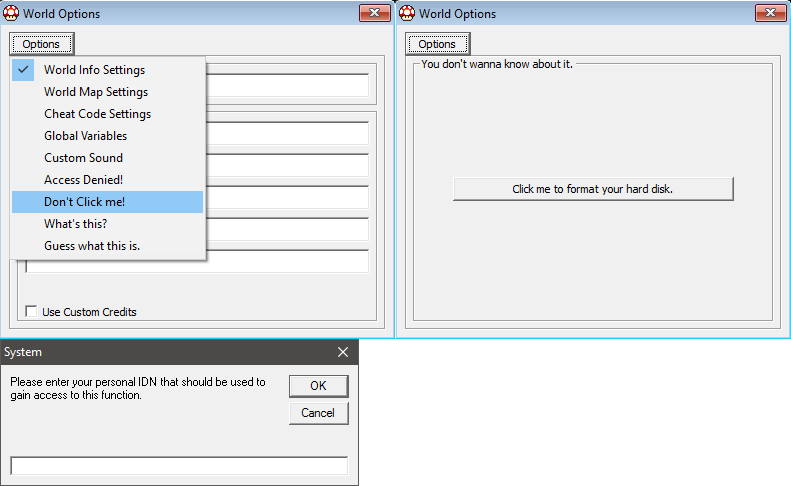 Click it and it will show a menu where it asks you to input your IDN. 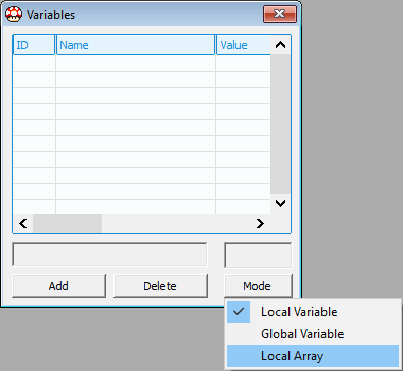 Input random values and click "OK". Repeat the last step until the minigame is activated. 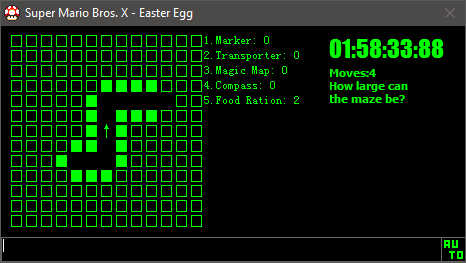 Instructions: Go to the Easter Egg menu and select the first option. Type in 10.It should tell you that the minigame is too hard, type yes. It should tell you that it won't tell you, type yes over and over and eventually it will ask you a question about a song. Answer this to unlock the minigame. Unlocks a midi ->teascript converter. Instructions: Go to the advaned settings in level settings. Go to the 'effects'. There is a chance a button called 'A VERY EASY GAME' might appear. Click it to unlock the minigame. Instructions: Go to the advanced graphic menu for a background. There is a chance that there is a button that says "A VERY HARD GAME". Click it to unlock the minigame. The amount of moves do not affect your result. The ability to set the Z-position for backgrounds. Instructions: Click the 'get' button in the 'redigitiscool(dynamic)' section to unlock the minigame. 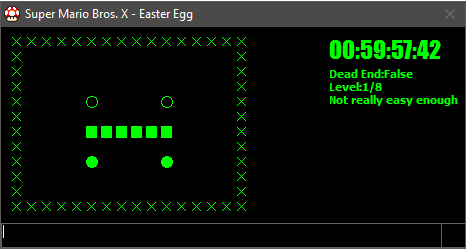 When three minigames are beaten, a hidden code will be unlocked in the undocumented section of the NPC code editor. It would be greatly appreciated if you record your answers on a video or by text, and be posted here. 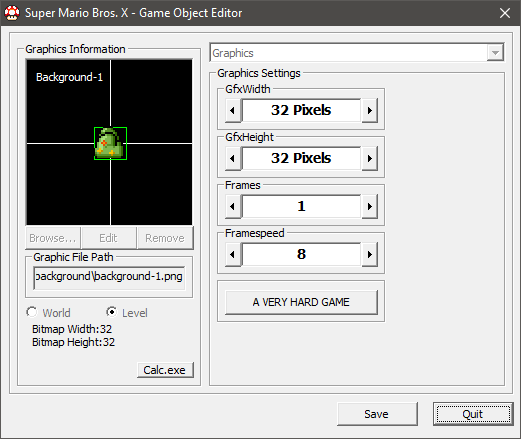 Tried anybodey to edit the smbx.exe using hexedit? Why 38A insterted this minigames? I think a good minigame for secret functions is, if somebodey can beat them. 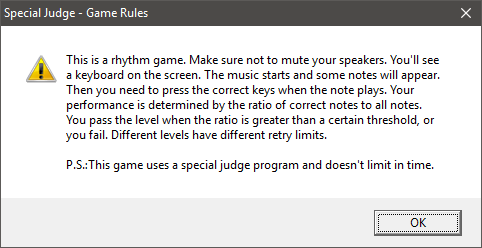 If anybodey can beat any of the minigames, nobodey have nothing of it, becurse the code in the setitingsfiles is only for this one pc. 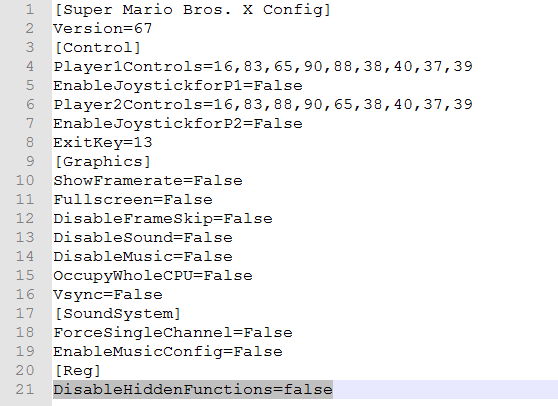 Either 5438A38A will disable the uniqueness of the secretcode in the setingsfile at "DisableHiddenFunctions" or he will make the minigames esyer, so anybodey can beat them minigames to unlock te hidden funktions! I hope that 5438A38A will read this post, so he will do anything for us, so we can beat the minigames and can unlock the hidden functions! Pilzinsel64 wrote: Tried anybodey to edit the smbx.exe using hexedit? 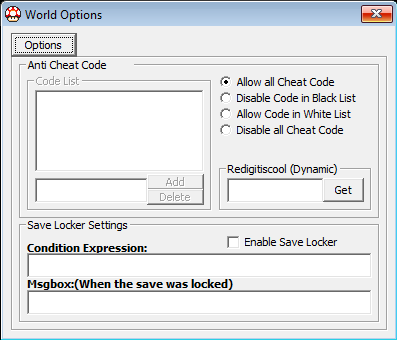 My biggest concern is that there is a way to keep your unlocked minigames on SMBX 1.4.3. I don't mind having to unlock the minigames and beat eqch one. There is also a guide being made that makes beating the minigames quite easier. No concern! You have only to copy the [Reg]-Part in the new settings.cfg. Thats all! Warning: Don't use the old settingsfile of smbx 1.4.2 becurse in the newer settingsfile of smbx 1.4.3 will be maby some new settings and the SMBX-Version is changed. Please copy the [Reg]-Part in the new config file, wich smbx will create on first start. I hope that works. Also, good news, the 8th minigame was found. We only need 1 more. Oh, i read it already. Who says there are then minigames? Btw: Do you/anybodey know when SMBX 1.4.3 or the next bugfix for 1.4.2 will comming out? I'm pretty sure they might be 10, for OCD sake, but if they are only nine that means less mingames to beat. Also, I don't know when 1.4.3 will come out, but its probably not soon. 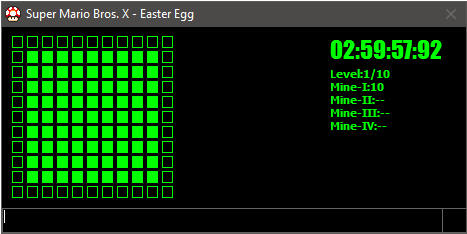 Hopefully, there will be non-math mini game easter eggs in the next version. I used the Process Monitor of Microsoft to find where the data of the mini-games are saved, but i failed. Can you try again? Maby we find the location of the minigame-data. I think SMBX saves the data in the regestry. Were the mini-games tested under Wine? 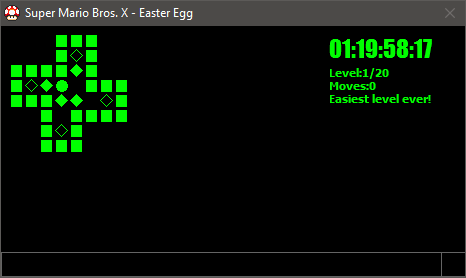 'Cos I'm using a Linux OS and I run SMBX with Wine, and I've tried to make the mini-games appear a lot of times, but didn't succeed. Yoshi021 wrote: The minigame doesn't seem to unlock anything. Every minigame will unlock something, this is a bug, i will fix it. Yoshi021 wrote: When two minigames are beaten, a hidden code will be unlocked in the undocumented section of the NPC code editor. 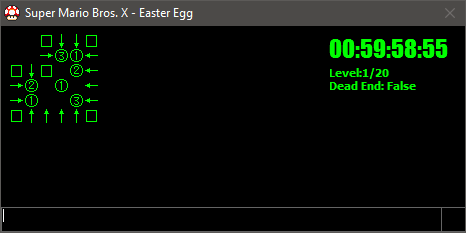 In fact you should beat more than 2 minigames, this is also a bug. So, @yoshi21 do you have any idea what "soemthing interesting" is? 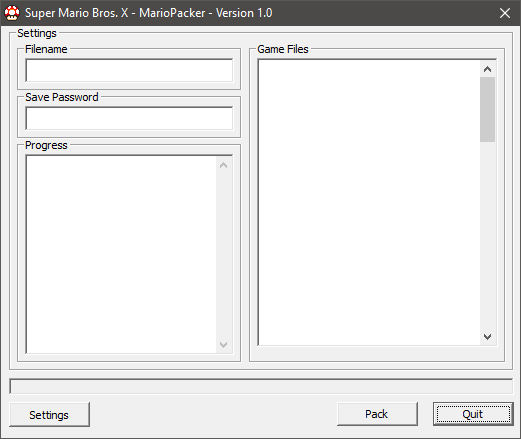 I have no version of SMBX on computer right know, so it is just a curious question. There are 4 new minigames in 1.4.3. I have found three (ID 10,12,13). I just need to find 11. I was at question 106 in the math-minigame and then SMBX crashed (3 times)! Thank you very much @5438A38A. BTW should we make a new topic talking about the "tip of the day"? I couldn't understand the tip of today: "Identifier l3" is "coinsforextralife"
I feel like it could be added here. 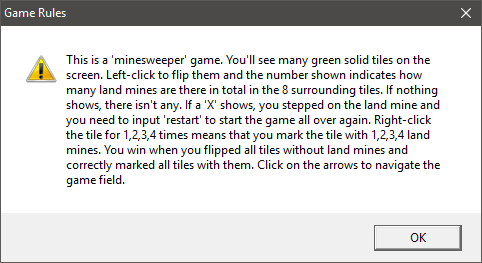 There's a bug with the jigsaw game, I've already beat the minigame and unlocked the feature "permanently", however, this feature won't show everytime I open the editor, it will show randomly (like the minigames).